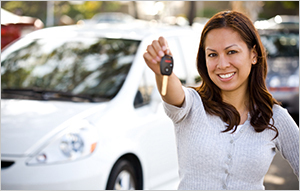 Auto insurance is a personal insurance that is essential for all automobile users. An auto insurance provides financial cover in case of untoward incidents including accidents and thefts. It provides the much needed protection to you and your car, any passengers who may be traveling with you and other drivers involved in the incident. The auto insurance will cover you for bodily injuries, death and any damages suffered by others in the accident. As part of the medical coverage that the auto insurance provides, all medical costs for treatment of injuries and rehabilitation will be paid through the policy. The insurance policy will pay for any damage to other’s properties caused by you. Your auto insurance will pay your medical expenses in case the accident occurred due to the negligence of a driver who does not have any insurance or has an insurance with a low liability that is not enough to cover your damages. Depending on the type of the insurance, you can fully protect yourself and your vehicle from damage not only due to collision but also floods, fire, earthquakes, etc. Such a policy is known as a comprehensive auto insurance policy. When you take out an auto insurance policy, you have to pay a premium on a regular basis. Although a full comprehensive policy with a high value for liability is desirable, it may not be a suitable option for all due to the value of the premium. However, if your vehicle is leased, it is mandatory for you to carry a comprehensive or collision auto insurance policy. You will only be able to change your auto insurance once you become the owner of the vehicle. When you take out auto insurance, you will be required to determine your collision or comprehensive deductibles. The deductible is the amount that you have to pay from your own pocket in case of an accident. If you calculate a higher deductible, you will have to pay a lower premium. However, when you calculate the deductible it is a good idea to know how much you will be able to shell out to the other parties from your pocket in a small amount of time. Also, figure out if the savings that you can make by a lower premium can justify the costs of you may have to incur in the event of a mishap. In the US, most states have made it mandatory for drivers to have auto insurance to drive. The liability set by the state for damages for auto insurance varies for different states. The auto insurer that you plan to go with for your insurance can advise you about the limits as required by the law of the state. Auto insurance not only protects you and your car. It protects those whom you have given the permission to drive provided they have a valid license. No one really can predict when tragedy can befall, but it is our responsibility to be prepared and protect ourselves and others at all times.